Improve or restore your site’s rankings. If you’re a local business owner and you’ve recently noticed an unusual drop in visitors’ engagement with your website or a sudden decline in organic search traffic, a Google Penguin penalty is the likely cause. This is especially true if low-quality links point back to your site. 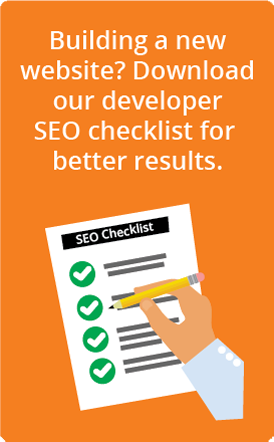 Our SEO experts can determine if your site has been affected by Penguin penalty and take action to start a Penguin recovery process to help you recover your search engine rankings. What is a Google Penguin penalty? Although many people both inside and outside of the search engine marketing industry refer to it as a penalty, Penguin is technically a filter. Google has continually fine-tuned its search algorithm to deliver increasingly relevant search results to users by rewarding high-quality, “natural” content (including links) on websites. When the algorithm encounters indications of unnatural links, it can trigger a Penguin penalty and rankings may automatically drop. If your SEO provider purchased links or used “link schemes” that existed solely to improve Google rankings, it’s almost certain that your site has been or will soon be caught by the Penguin filter. On September 23, 2016, Google announced that Penguin now runs as part of the core algorithm so there will no longer be separate Penguin updates. In some cases, when a site’s authority is exceptionally high, bad links may exist without triggering a Penguin penalty. That’s because the algorithm takes into account the ratio of bad links to high-value links. For most websites, however, low-quality links are likely to cause Penguin trouble. Simply put, the Google Penguin penalty can be levied when it encounters this combination: keywords in the anchor text of a link that’s been placed on a low-quality website. Note that although Google’s Panda update is also related to quality, which has caused some confusion, Panda is all about low-quality content rather than links. It takes time to do the work needed to recover from a Penguin penalty, but it can be done. It’s not a do-it-yourself project, however — done the wrong way, the situation can be made worse. We use a suite of technical tools to investigate why your site has experienced a drastic drop in rankings and to identify inbound, harmful low-quality links. We then manually review every link, assess the damage, and submit information to Google requesting that it remove the bad links that link back to your site. After that work is done, there’s more — building high-quality links to your site from sites that are relevant to your content and your site visitors. This approach is one we always recommend, regardless of the presence of penalties: Stay focused on relevance and high quality in every area of your digital marketing. If you’ve experienced a significant drop in rankings, we can help. Call us at 904-270-9778 or complete the form at right.